Welcome to Eddie's Eigg Croft. Our croft is on the north west side of the Isle of Eigg in the crofting township of Cleadale. Around 20 acres, and looking west to the Isle of Rum, the croft is being restored sensitively by its current tenant Eddie Scott. 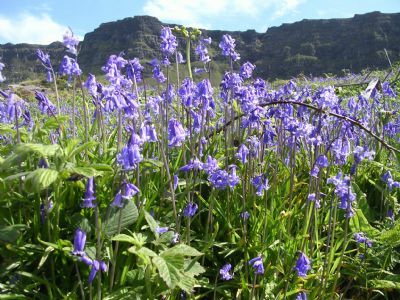 Beautiful throughout the year, its annual flowering of Bluebells sees the landscape change from winter's hue to a vibrant blue across the croft's slopes. We harvest seeds from these Bluebells every year, selling them under licence from the Scottish Government from this website and locally.